Figuring out the price on a car is not easy. There are many factors that go into it, including year, car make, model, condition, and current market expectations. As a result, it can be easy to undervalue or not pay a fair price for your vehicle. Luckily, there are a few online options out there for people looking to get a fair value when looking at used or new car values. In this guide we will break down two such options: the NADA Used Car Guide and Edmunds True Market Value. The NADA Used Car Guide, now known at J.D. Power Valuation Services, is a service that helps customers look at vehicle, auction, trade-in, loan, and retail values. That wealth of information is key because it allows anyone using the site to know exactly what their vehicle, used or new, is really worth. The guide has been a part of the automotive industry since the early 1900’s. That century of collecting and analyzing vehicle values has helped them gain a wide user base. Many professionals from a wide range of industries, including dealers, credit unions, governments, and banks, get their car value at NADA. The unbiased service means that the values are 100 percent accurate every time. Another benefit of finding car value with NADA is that they continually gather and analyze the latest automotive industry trends as a way to keep customers informed. They also publish monthly guidelines that recap previous industry activity and look ahead to potential shifts within the vehicle valuation market. There are many different reasons people use NADA Values, including auction transactions, trade-ins, loans, and retail. All of the services are updated either weekly or monthly in order to keep customers up to date, and NADA provides videos that help buyers better understand the shifting prices of the car industry. When it comes to finding accurate car value, NADA is one of the best options out there. In addition to NADA, people looking to get a good price evaluation can use Edmunds.com’s True Market Value (TMV). This system uses a strong pricing tool to help customers identify a good deal on a new or used car. It is also based on actual sales data, which gives customers a platform that shows what other people in their area paid for the same car. That then helps you negotiate the best price independently of larger market value. If you can get a good deal, TMV may be able to help you lock it down. The reason TMV is so accurate is because, unlike other pricing tools, it estimates a vehicle’s average transaction price rather than its “out the door” cost. That means the tool looks at any incentives or fees (including manufacturer-to-dealer incentives and destination charges) that could change the transaction price. However, also be aware that the system does not include fees that may be applied after a transaction price has been set, such as bonus cash, sales tax, DMV fees, or dealer documentation. Even so, knowing the TMV price helps you better understand quotes and helps you better negotiate the price of either a new car or the value of a trade-in vehicle. In addition, private-party buyers and sellers can also use it to set the price of used cars. When looking up the price on a new car, you can use TMV pricing on Edmunds once you select the car make, manufacturer, style, and options. Those details must be chosen first because they all influence the price. From there, Edmunds displays TMV pricing of the new car alongside two other key pieces on information: the invoice price (which is what the dealer paid for it) as well as the manufacturer’s suggested retail price. Used-car appraisals will come up with a range of different numbers, but that breakdown will give you an accurate cost. You are going to hear a wide range of figures and pricing terms when trying to determine the value of a car. The truth is that cars sell at different prices, and auto trades are often influenced by both availability and popularity. The NADA used car value and the True Market Value tool can help you figure out exactly what a certain vehicle is worth. 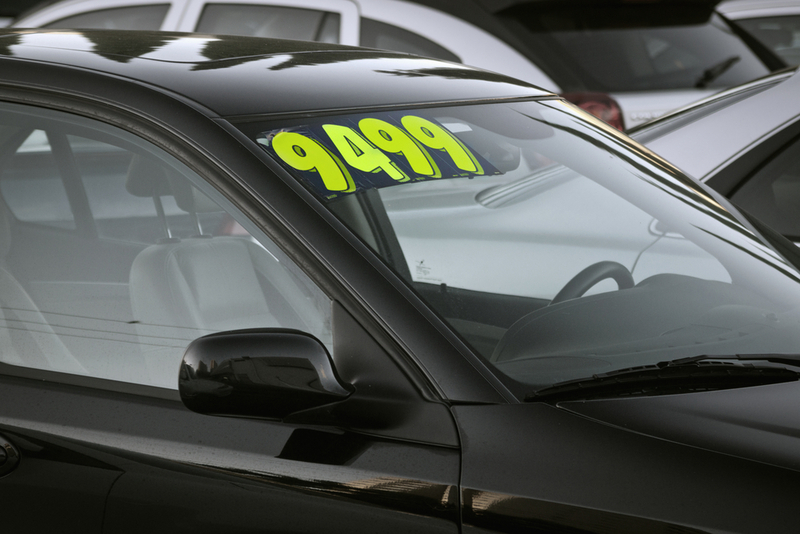 Don’t get caught paying more than you should, and don’t undervalue your car. As long as you have accurate figures, you should be able to navigate the world of auto pricing with no problems.